This title was first published in 2002. 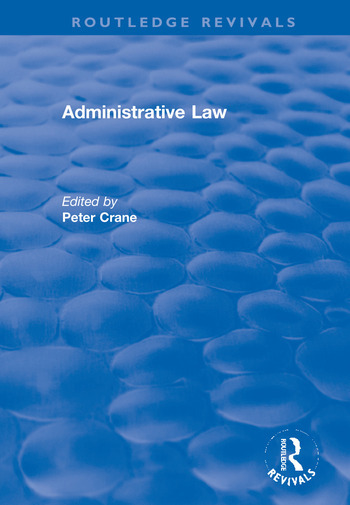 Designed to complement the first volume on administrative law which was published as part of the original series of "The International Library of Essays in Law and Legal Theory", the articles contained in this volume pick up on themes dealt with in the first, while others reflect different concerns and new developments in administrative law scholarship. It offers a representative sample of the best contemporary writing in administrative law - theoretical, empirical and doctrinal. What ties all the essays in this volume together is not that they fall within the province of administrative law, but that they are all concerned with the legal framework within which government business is conducted, and government policies are pursued, by executive action.